Seabrook, Texas – October 17th, 2016 – The Shearer Group, Inc. (TSGI) is pleased to announce, Gateway Dredging has taken delivery of a 55’ 1,200 HP twin screw conventional towboat. 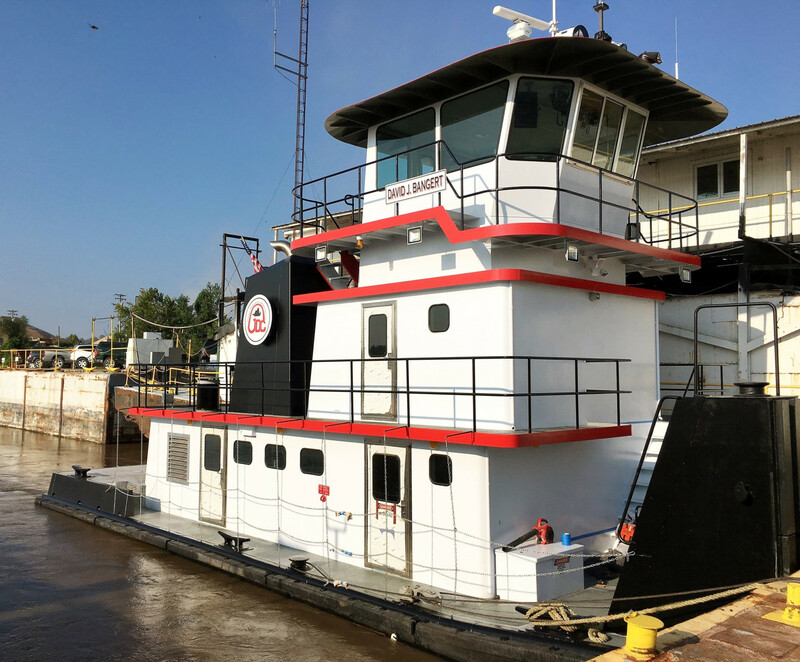 TSGI provided the design and engineering services to JB Marine Service, Inc. where the towboat was constructed in St. Louis, MO. The Shearer Group, Inc. Welcomes New Summer Intern! The Shearer Group, Inc. (TSGI) would like to welcome its new summer intern Diana Kiker! Diana is an incoming senior at Texas A&M University pursuing a degree in Ocean Engineering. While at school Diana is a PADI Divemaster Candidate where she is pursuing a Divemaster certification through the TAMU Scuba Divemaster program. Seabrook, Texas – November 20th, 2015 – The Shearer Group, Inc. (TSGI) is proud to be participating with Pittsburgh Region Clean Cities (PRCC) and Clean Fuels Clean Rivers (CFCR) to conduct a marine air quality study centered on the conversion of an inland towboat to dual fuel diesel/liquid natural gas (LNG) to reduce diesel emissions in marine vessels. 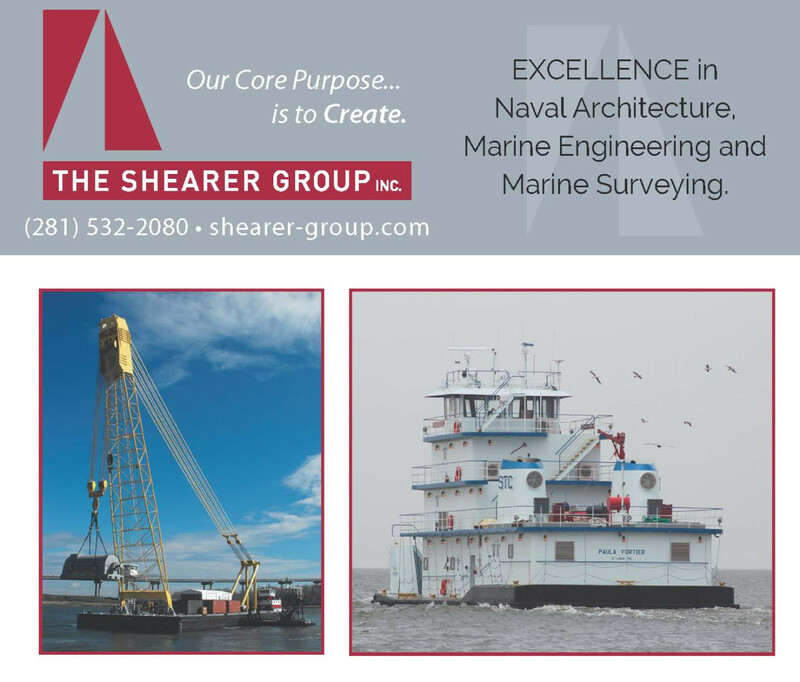 Seabrook, Texas – October 19th, 2015 – The Shearer Group, Inc. (TSGI) is pleased to announce a new addition to its naval architecture, marine engineering and marine surveying practice. Yesterday, October 6th, 2015, Pittsburgh Region Clean Cities released a press release that its western Pennsylvania coalition, Clean Fuels Clean Rivers (CFCR) received a grant from the U.S. Maritime Administration (MARAD) to monitor and convert a towboat to run on liquefied natural gas (LNG) in order to meet EPA emission requirements to reduce our environmental impact to the inland waterways. 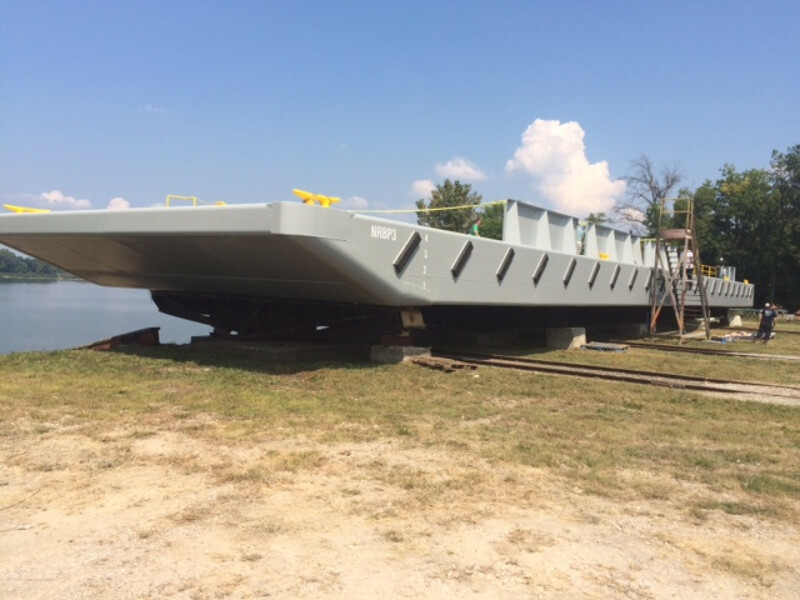 Delivery of Living Lands & Waters Crane Barge Designed by The Shearer Group, Inc.
Seabrook, Texas – September 24th, 2015 – The Shearer Group, Inc. (TSGI) is proud to announce that Living Lands & Waters has taken delivery of a TSGI designed 150’ x 32’ x 5’ crane barge. On page 35 of VOL. 129 No. 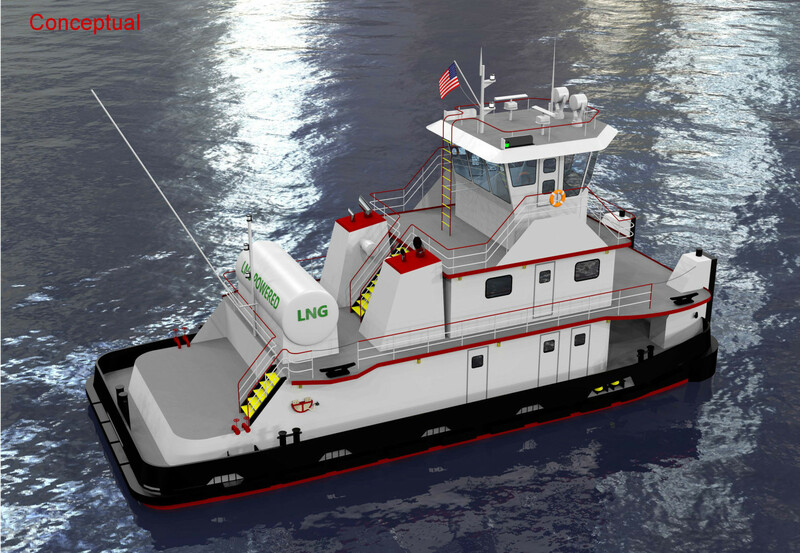 18 of the Waterways Journal Weekly, features a double-skin bunker barge rendering designed by The Shearer Group, Inc. for a Gulf Coast marine fuel supplier. Check it out! On page 5 of the most recent volume of the Waterways Journal Weekly, Vol. 129 No. 15, is an article called “LNG, Z-Drive Presentations Draw Crowds To Educational Seminars”. 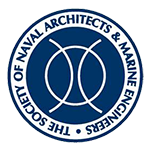 The article includes information regarding the presentation given by Ed Shearer, P.E., TSGI’s principal naval architect, at an educational seminar at the Inland Marine Expo. During the presentation, Ed Shearer, P.E. discussed the possibility of LNG. The remainder of the article is on page 17. Check it out! Seabrook, Texas, July 16th, 2015 – The Shearer Group, Inc. (TSGI) has recently completed the design of a 130’ x 35’ x 10’ double skin bunker barge for a Gulf Coast marine fuel supplier.